I've had problems in my garden with several different large pests over the years. Rabbits were a problem early on as they nibbled my young plants. I've beaten them with quantity now: losing one plant when you only have ten is a huge loss; losing one when you have a hundred is usually not a big deal. Woodchucks have been staying away from my yard for the last few years, which is great because unlike rabbits who mostly nibble, woodchucks find a plant they like and they eat it. Much more destructive. Right now deer are a problem, as although they seem to be more nibblers like rabbits, their nibbles are much larger, so one bite can take out a whole plant. Throughout the years I've consistently had problems with a smaller pest though: moles. They don't eat plants, but their tunnels and mounds not only are unsightly, but these guys will rip through the root system of plants without knowing it, causing inadvertent but possibly severe harm to the plant. 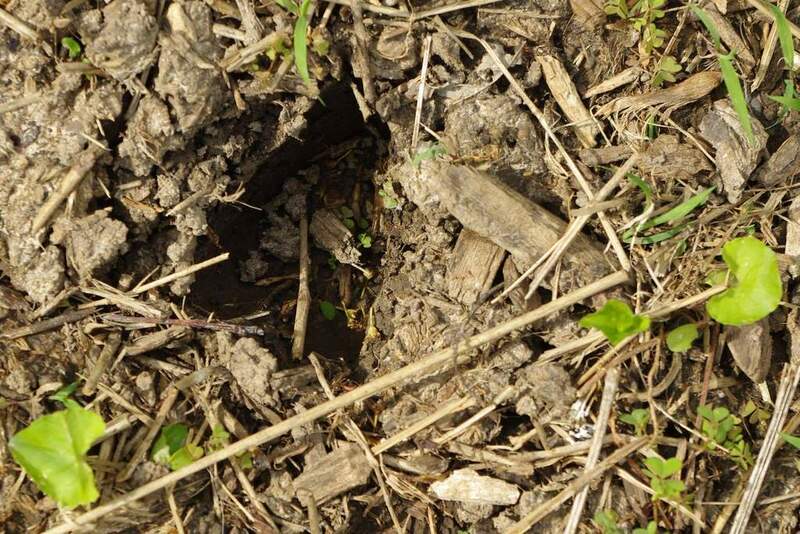 Plus voles often use mole tunnels, and voles do eat plant roots (and bamboo rhizomes!) so I'm in constant battle with the moles. Fortunately I've gotten pretty good at catching them, and will outline my methods today. First I want to talk about the various methods I've used (and abandoned) over the years to take care of these moles, before moving on to my current method. My first attempt at "handling" a mole years ago involved a lot of pent up anger and frustration, a mole actively plowing through a new flowerbed (the plants were visibly moving), and a garden fork used as a spear. This experience left me with very strong remorse and a new outlook on moles, realizing that they were not purposefully harming my plants. I only used this method one time. Next I evolved to the "stake out, dig up" method. This involved finding a fresh tunnel or mound, then watching and waiting. Once I saw movement in the soil as the mole started tunneling again and I got a good idea of where the mole was, I'd stick a small hand trowel into the tunnel a foot or so behind the mole to prevent its escape, then I'd use my spade and dig up a large chunk of soil that hopefully included the surprised mole. Then I'd grab it and stick it in a bucket. This worked pretty well but had some problems: I had to sit and watch for several minutes, it left large divots in my lawn, and there was always a chance that I'd misjudge the mole's position and injure it when digging. After the spearing incident I did not want to cause the animals any pain. One morning I saw a fresh molehill and went to get my bucket and tools. 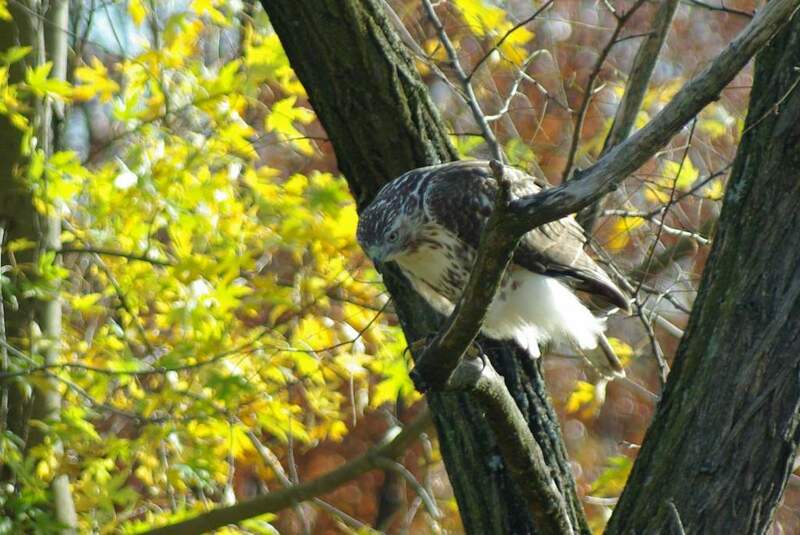 On the way back a hawk landed in a tree nearby and appeared to be looking at the ground. It was obviously hunting and had seen something promising, probably a vole or maybe a snake I thought. Imagine my surprise when a couple of minutes later the hawk landed on the molehill, stood there for a few seconds looking around, then flew away with a large mole dangling from its claws! This was amazing to watch, and is by far the easiest mole removal method I've ever used -- I highly recommend it! I thought this was probably a one-off, and I'd never see a hawk catch a mole again. 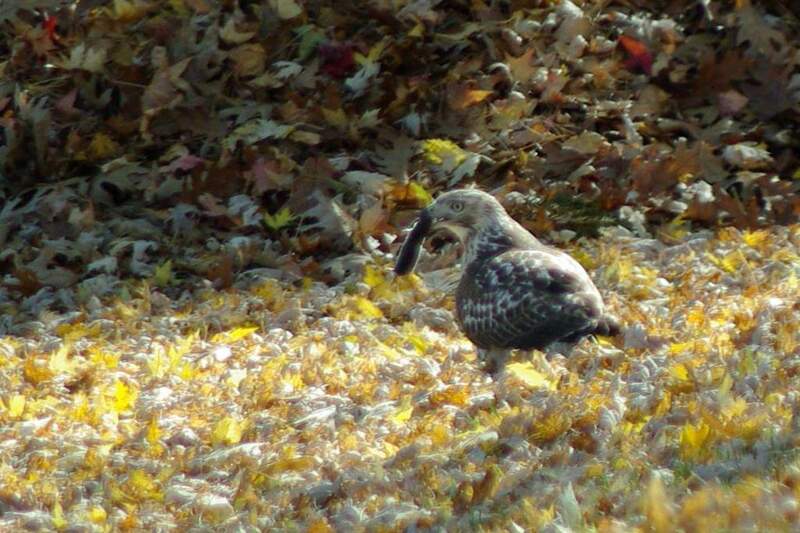 Fortunately I was wrong, and one autumn day I watched a hawk hunt in my neighbor's leaf-covered lawn, and saw it catch at least one mole, maybe more (I couldn't always see what it caught). The best method of mole removal I've found. I wish I had a way to show hawks where moles were -- some big hoops I could lay on the ground around a molehill like a big bullseye, showing any passing hawk that an easy dinner awaits. Alas, avian mole removal is not reliable, so I continued to improve my methods. One thing about mole tunnels is that usually you can just walk over them and flatten them down. It's the "mole tunnel dance" and is unmistakable -- I've seen all of my neighbors doing it, and I've done it countless times myself. I guess I'm hoping a deer will inadvertently help out and step on a mole. 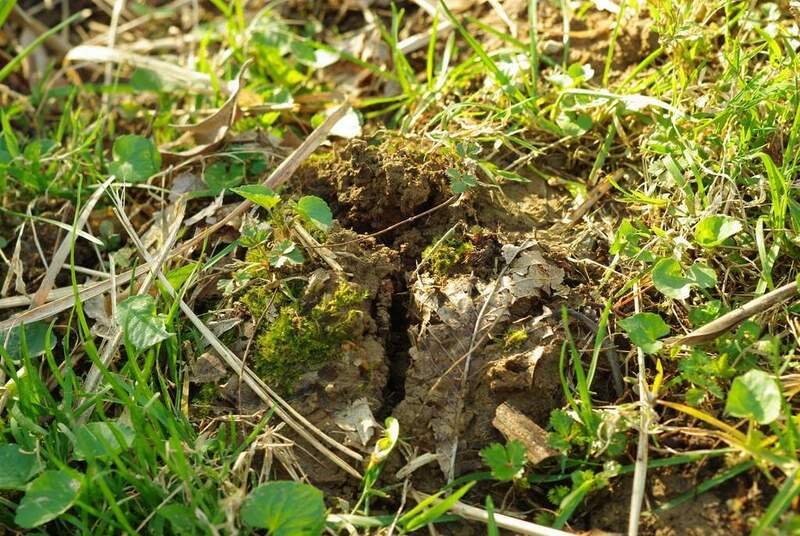 I know it's not likely, but whenever I see a deeply sunken hoofprint I hope. 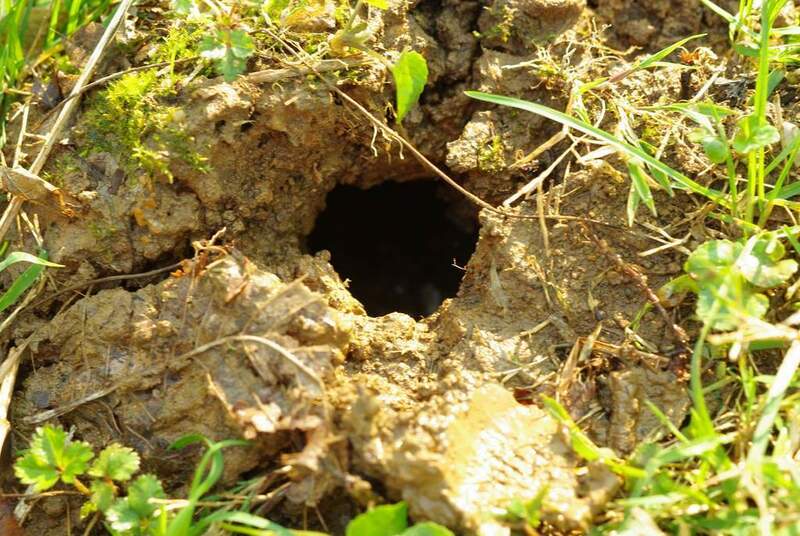 So although tunnels are easy to "repair", the mounds of soil that get pushed up when moles hit an obstruction (root, rock) or when digging their dens -- that's harder to take care of. If you just stamp it down you'll create a "roof" of soil over the hole, which is unsightly and helpful to the moles. It's the worst thing you can do really. What I started doing was using water to wash the soil back into the holes. This method worked really well, and sometimes I could get all of the loose soil back into the hole, leaving no trace that a mole did any digging here at all. This practice one day surprised me, as a wet mole popped out of the hole I was trying to fill, its wet snout held upright to get some air. This fortunate discovery lead me to my current method of mole removal: using the hose to flood out the mole. Let's take a look at the steps involved in the "flooding" method. Insert hose, turn on water. You want the volume of water to be enough to fill the tunnel and make the mole think that he is about to be flooded out, but no so much that the tunnel immediately fills up with water. You want it to drain down a bit or you'll never be able to wash any soil in. This one is empty -- no mole nearby. So I'll wash the soil down. Note that with the heavy clay soil I have this can take some time, so go slowly. You don't want a big chunk of clay to wash in and clog the tunnel, stopping you from washing any more soil down. 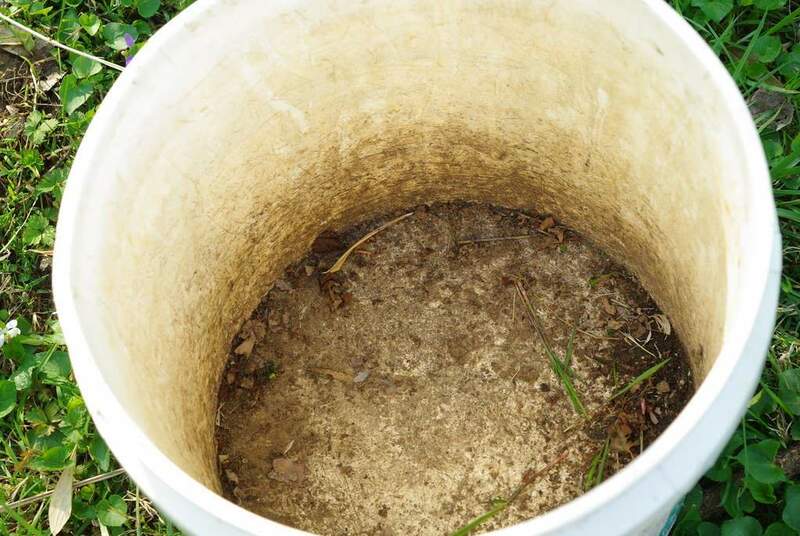 Empty bucket is usually disappointing, but you should have it ready even if you don't think you'll wash out a mole. Sometimes you'll be surprised (like I was). Do you see the yellow knob sticking out of the soil near the bottom of the photo? That's a mole repellent stake that buzzes every 10 seconds or so. It didn't keep him from using the tunnel that goes under and through this bed, but it did seem to make him use it less. Maybe after more time he would have stopped going through here completely. I didn't have a chance to find out though, because 50' away I noticed digging in my small triangular raised bed next to the house and driveway. 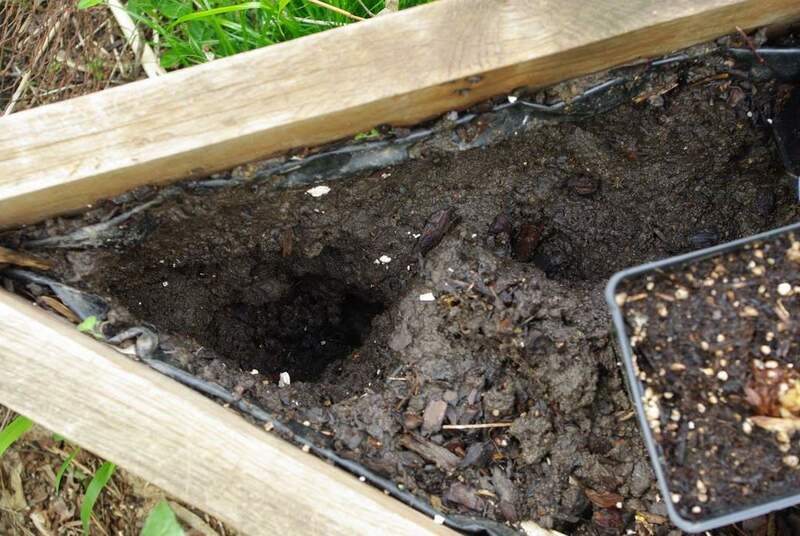 While washing down the soil I discovered deep mole tunnels, and after adding water until the soil was saturated and the tunnels full of water, the mole ended up emerging from the soil at the base of the raised bed. He was extremely energetic, and wouldn't stop trying to run out of the bucket! Moles run in a flopping way, sort of like a penguin combined with a seal, if you can imagine that. More scrabbling noises though. A hyper-active mole! I guess that explains how he was able to make the trip through my veggie garden and back up here several times a day. The flooding method is by far the best I've used so far. 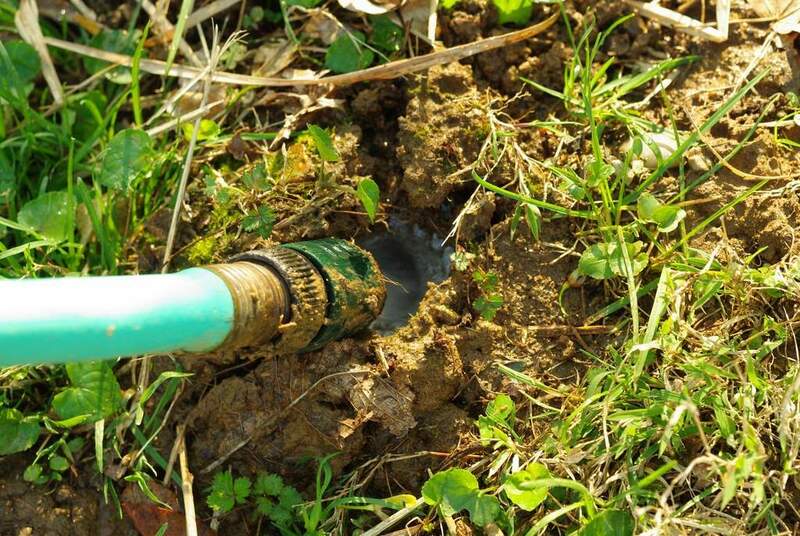 It has three main advantages: First, even when you don't catch a mole you can wash the soil back into the hole, so there is no wasted time or effort. 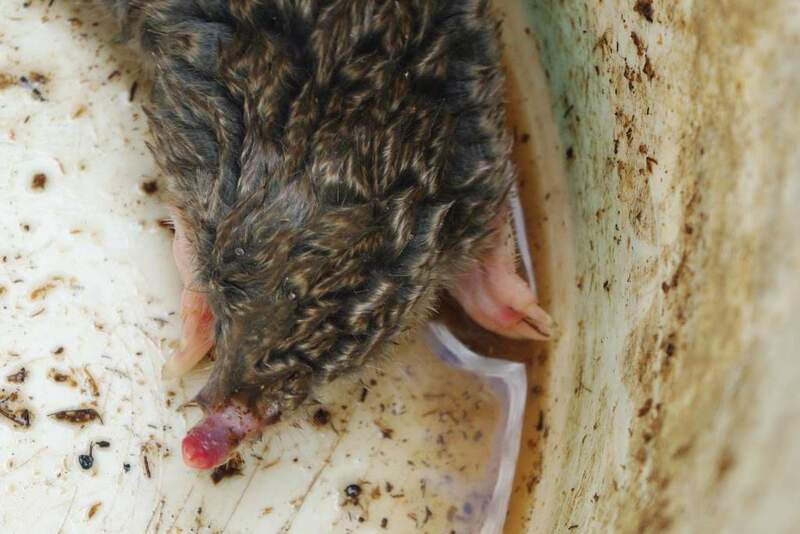 Second, you can direct the mole into the bucket without having to pick it up. By keeping the stream of water on the mole after he emerges you can direct him almost anywhere you want. Third, there is no digging, so the lawn doesn't get chopped up and there's no chance of injuring the animal. So that's how I catch moles now. Some readers have asked what I do with the moles after I catch them. My neighbors always ask too. When neighbor #1 asks, I tell them I release them in neighbor #2's yard and laugh. When neighbor #2 asks, I tell them I release them in neighbor #1's yard and laugh. 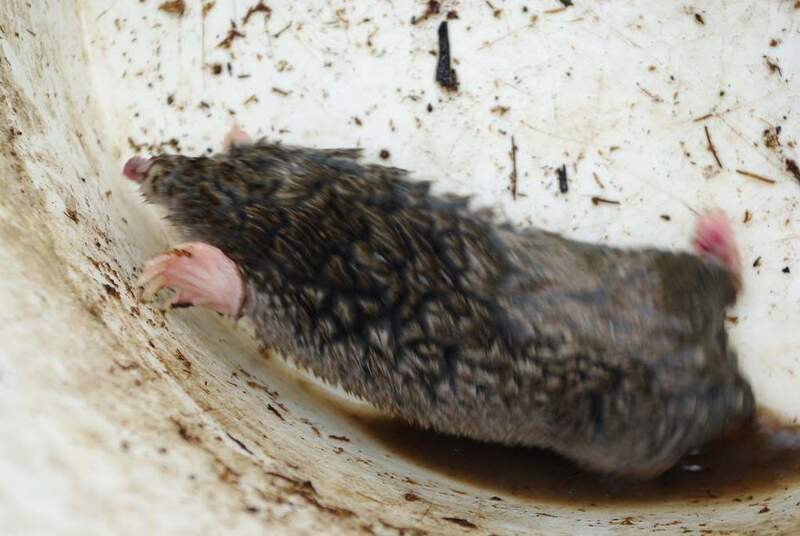 As you probably know, there are two options: kill the moles, or release them somewhere else. In Missouri and many other states it is illegal to relocate wild animals. You can kill as many "nuisance" non-protected animals as you want though for some reason. Are moles considered to be "wild animals"? Technically, yes, but I'm not certain -- the law might have been intended only for larger animals like raccoons, skunks, and the rest. Even so, I'm not a fan of killing animals for living in the "wrong" area (my yard), so you can guess what method I use. I'm just hoping the woodchucks don't return this year. This is the sad part of gardening. I have lots of moles, voles and chipmonks. So far I'm just taking my losses. I have to admit just looking at these critters creeps me out (I'm being honest--I know they fill an important role in nature and all). But it sounds like a good method. Ick. I'm a live and let live kind of a gardener but (you've guessed it) we've never had moles in the garden. Heard of some really horrible methods over here such as traps and gassing and poisoning. How barbaric! I sympathize! I have a huge vole population and I have lost many plants to their demise. We now use chicken wire & gravel in every plant hole before we plant to keep them from eating the roots. 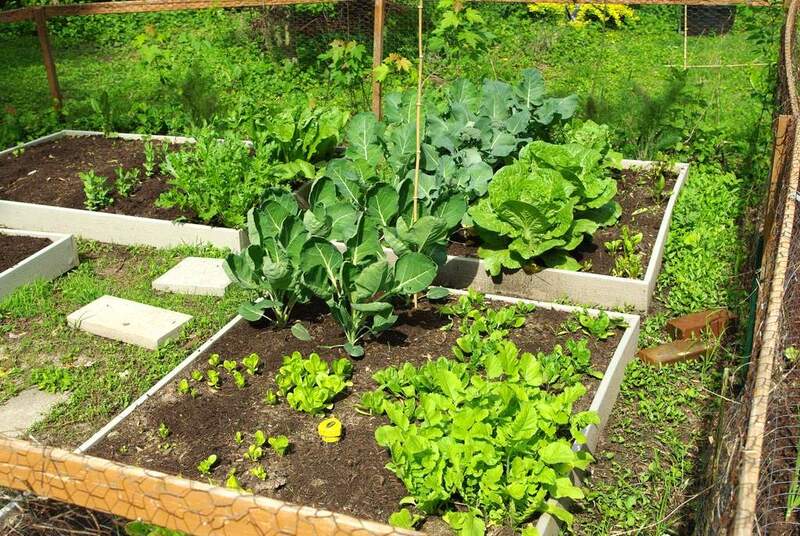 Wish you much success in your garden! I have had a few moles, but I have had more voles than moles. And the moles have made the tunnels for the voles. I use the chicken grit/granite chips method around the roots of my plants. Of all the methods I have tried, that one seems to have worked the best for voles. However, I am glad you wrote this post, so that I have a solution should I have an infestation of moles. Thanks! A digging dog, a hunting cat are both good solutions; better than re-locating them to somebody else's property, a concept that I just cannot understand. I certainly don't advocate relocating to somebody else's property! I actually saw somebody's loose (escaped?) dog digging for moles in my neighbor's yard the other day, and although it may be effective in the long run, all it resulted in was a lot of big holes in their yard this time. I love the idea of a digging dog. But wouldn't they also dig up all kinds of things? As a dog owner, I can attest to the fact that we generally overestimate the intelligence of their average dog. For every mole they catch, they will dig up ten plants and urinate on the others. Great post. I'm hoping for moles, just to see if I can beat them. The flooding system work best with my Blue Tick Hound mix Black Lab - mut dog Samson . He is a friend and house pet. I flood the tunnels and let the dog do the work. What ever I get his interest in he's on it. Most people don't have one . Just watch for the mole head. He will come all the way out Grab him by the tail. They have NO muscles in they're tails so they are defenseless at that point. What to do with it then? Sell it as a pet, flush it down the toilet, give to a activist, or what ever you think is best. I can tell you it can swim very good for a undetermined amount of time. They can not see. This mole swam back to land after being in the water for a long period of time swimming toward sounds. 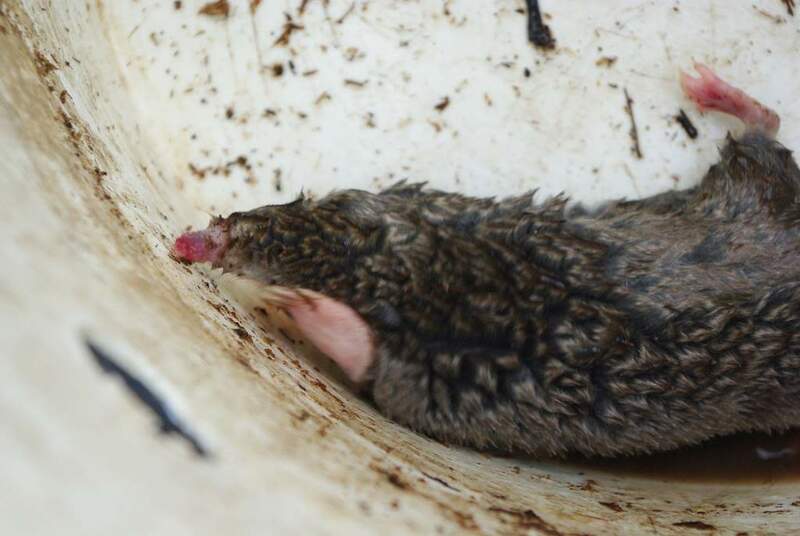 This article on capturing moles looks good, but seems to be missing one key step - how does the mole get into the bucket? If you use a spray nozzle with a forceful stream you can collapse the tunnels as you go as well as flood them out. it works really well for me in Tennessee. My cat has caught and brought to me 8 moles in the last 2 months. If you have a cat who is a "hunter" you might want to encourage it to hunt moles by taking it to a fresh mole hill. Ours too, couldn't believe it was the cats until we saw them playing with a live mole on the lawn. Anon: In Missouri it's illegal to relocate wild animals, so possibly. It's certainly rude if it's something that you don't want your neighbor to do. Plus unless you're a LARGE distance apart, they'll just end up in his yard again.